Zoe Lam – Zoe Lam is PhD student at UBC Linguistics. Her research focuses on the phonology of tone, tone perception, and the interface of phonetics and phonology. Lam has done work/ been working on Cantonese tone perception, the intonation and discourse particles in East Asian languages, and the morphotonology of Nata (an Eastern Bantu language). Recently, she has started learning Medumba, a grassfield Bantu language. As a speaker-linguist of Cantonese, Lam is also intrigued by the pragmatics and syntax of Cantonese discourse particles. Eleanor Yuen – Eleanor Yuen is an expert in library management and the former Head of UBC’s Asian Library. 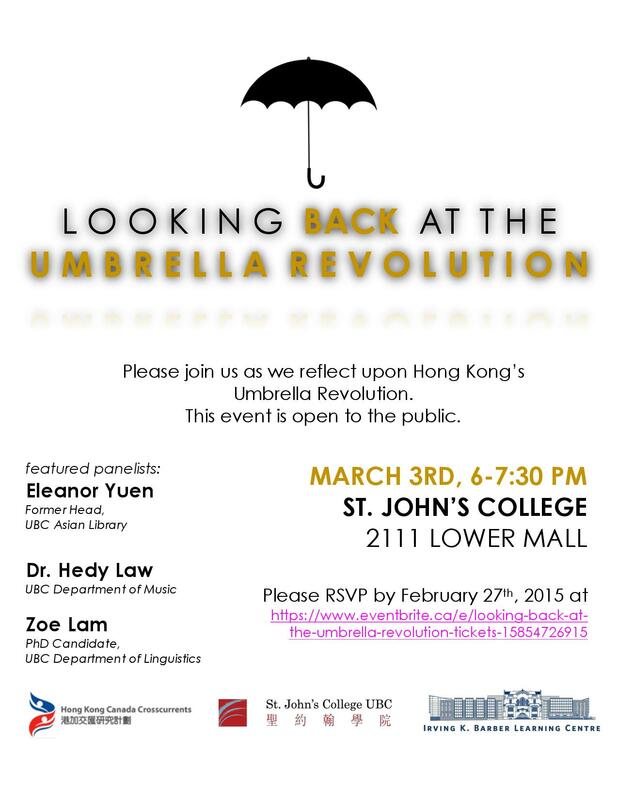 She has research expertise in Chinese-Canadian and Hong Kong issues. She has also developed a website entitled Historical Chinese Language Materials in British Columbia. She has been involved in community volunteer work in a variety of ways, including serving as founding director and past president of the Vancouver Hong Kong Forum Society and on the advisory board of Strathcona employment assistance services. Hedy Law – Hedy Law graduated from the University of Chicago in 2007 with a Ph.D. in Music History and Theory. In 2005 she received the Howard Mayer Brown Fellowship of the American Musicological Society. In the same year she won the best student paper of the Midwest chapter of the American Musicology Society. She was Collegiate Assistant Professor and Harper-Schmidt Junior Fellow of the Society of Fellows at the University of Chicago from 2007 to 2009. From 2009 to 2012, she was Assistant Professor in Music History at Southern Methodist University in Dallas, where she won a university-wide teaching award. Her articles have appeared in Cambridge Opera Journal and Musique et Geste en France, and are forthcoming in Oxford Handbook in Music Censorship; Noise, Audition, and Aurality; and the special issue on music and architecture in the journal CENTER: Architecture and Design in America. She is currently working on a book on music and pantomime in eighteenth-century France.